Many of us tend to bury our heads in the sand when it comes to anything technical around the house, but when it comes to your household plumbing system, knowing what to do in the event of an emergency can prevent severe damage occurring to your property or even save a life. Luckily we've made the task a little easier with our easily guide to dealing with plumbing emergencies. The first step to take in the event of a flood is to turn off the water supply to your property using the stoptap. Every property has two of these, the first of which is located within the property and the second of which is the water company boundary stop tap. The main stop tap is usually located in the kitchen but can be anywhere on the ground floor or the entry floor to a flat. As they are sometimes boxed in or hidden in cupboards, stop taps can be hard to find. Controlling the supply of water to the whole home, this tap will stop all water when turned off. Boundary stop taps are usually located at the boundary of a property by the water company, and cut off the entire supply of water to the property including the outside pipes. Some older taps can turn water off in up to 4 properties at once, so be sure to inform the neighbours before turning this off! If you experience a small leak within your property e.g. in sanitary ware or kitchen appliances, these can be controlled using isolation valves. Small in line valves installed next to the appliance or ware can quickly stop a problem without stopping the entire water supply. If you experience a leak in your hot water system you need to stop hot water entering the system. If you have a hot water cylinder you need to find the gate valve (usually in your airing cupboard). Turn this off and turn on any hot taps to empty the cylinder of all water. If you have a combi boiler the valve will be located under the boiler and will be a lever operated isolation valve. How do I prepare for a water emergency? 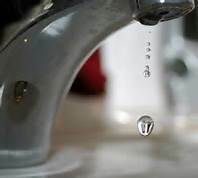 If you find a water leak, the first thing you should do is to turn off water to the whole house at the mains stop tap. Next, open the cold tap to drain water from the pipes and stop water leaking further and if the leak is from an appliance, find the isolation valve to turn its water supply off. If water is collecting in the ceiling and dripping through, puncture the ceiling with a small screwdriver or hand drill and catch the water in a bucket. This will reduce the risk of the ceiling collapsing and causing even more damage to the property. To find a local quality plumber to come to your aid in the event of a plumbing emergency, search via our website at http://www.aphc.co.uk/find_an_installer.asp.